Hands down the best patisserie in Brighton, possibly the whole South East, is Julien Plumart. Save that Eurostar ticket money and spend it here at this slice of France. 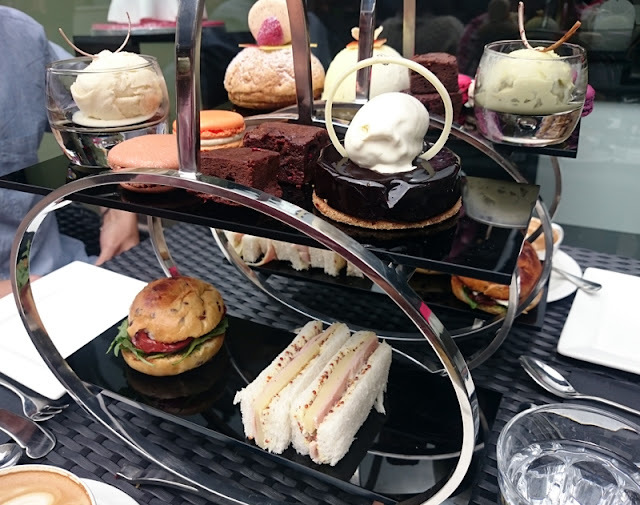 I've raved about the boutique a lot on this blog but now they are serving afternoon teas on glossy tiered stands which of course needed some investigating. You won't be getting scones and jam here though and you won't miss them either. 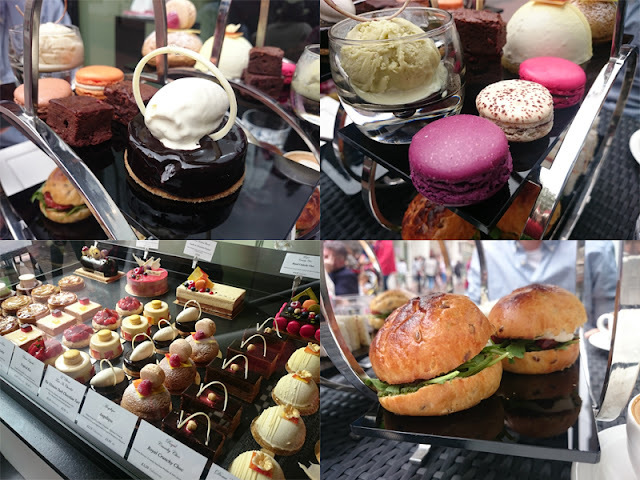 Along with finger sandwiches, tiny, savoury filled, light brioche buns, ice cream and warm brownies you can choose a selection from their famous macaron and one of the intricate cakes. They had just that day won a Taste Award for the Berries and Violet macaron (well deserved) and I teamed that with Black Forest and Raspberry flavours. The macaron are really gorgeously light and crisp, with an intensely flavoured filling. There are always classic flavours to choose from like Pistachio or Rose to more experimental ones like Yuzu & Black Current Pepper. Prepare to stand in front of all the flavours for a while and painfully choose just three. The loose leaf teas are from The Rare Tea Company and served in beautiful clear glass teapots which look very pretty. There is a decent selection and the leaves are sourced direct from select independent farms. 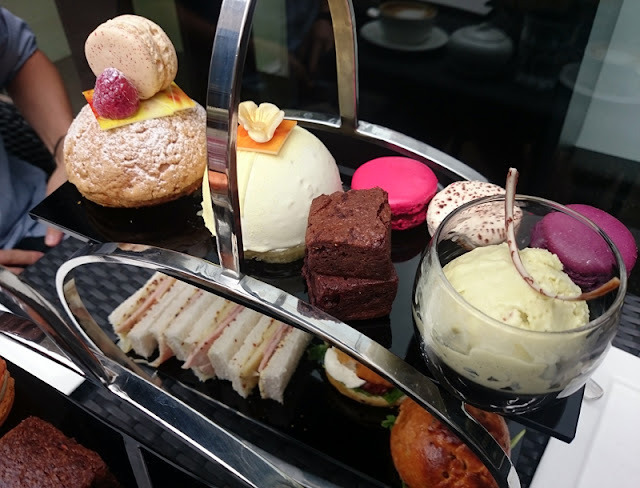 Afternoon tea for two people is £29 which when you consider the quality of everything, is very good value. Julien Plumart himself is still very much in the kitchen crafting the products with a small team so standards have not slipped in the slightest. Oh and by the way, they have also recently renovated the top floor dining space. Handy if you are planning a tasteful hen dos or small party. I was invited to review. Words and thoughts, as always, are my own.